It’s a debate as old as whether the chicken or the egg came first – should you ice an injury or should you apply heat? Well, hold on to your hats because we’re here to set things straight and end the great debate! 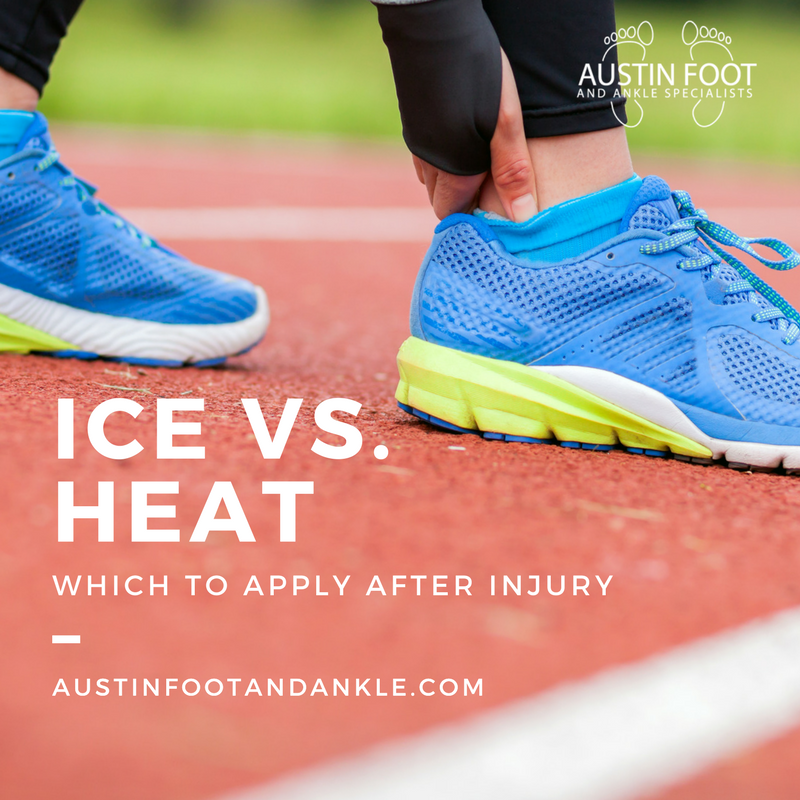 No, we don’t have any idea about the chicken or the egg, but we do know exactly when to use ice vs. heat if you sustain a foot or ankle injury. A good way to remember when to use ice is to think of the “I” words that go along with it: “initial” and “injury.” Ice helps with swelling and pain, which are often most present in the initial stages following an injury. Once swelling has diminished, then you can make the switch to – you guessed it – heat. Apply heat to an injury once inflammation has gone down and you are left with muscle soreness, pain, aching, and stiffness. The heat soothes and loosens tight muscles and helps promote circulation, which boosts the healing process. Another way to decide when to apply ice or heat to an injury is if the problem is chronic, heat is your friend. If the injury is acute, which typically involves sudden trauma, then a visit to the ice machine is in order. Keep in mind that both ice and heat can actually do more harm than good if you use them incorrectly! Applying heat to an injury too soon can make inflammation worse, and applying ice to stiff muscles will only tighten them up more. Make sure you listen to your body and are aware of symptom changes throughout the stages of your recovery. In addition, it’s important to protect your skin by placing a towel between it and the ice or heat source. So, there you have it. The answer to an age-old debate. If you have any other questions concerning your foot and ankle health, just give us a call! You can reach our Austin, TX office at (512) 328-8900. We hope you don’t get injured, but if you do, now you know what to use!